At our biannual national assemblies, we align on our strategy, we form important connections across our movement, we elect the people who will serve on our Board of Directors for the next two years, and we deepen our skills for organizing to win. Speakers of over seven languages, who participated in the Assembly in Spanish, Tagalog, Nepali, Portuguese, Cantonese, English and more. At our two plenaries and our town hall session, as well as in breakout sessions for the three segments of our workforce, domestic worker leaders and organizers, allies and NDWA staff lifted up the key issues facing our sector and our movement. Recordings of these sessions can be found here: Saturday, Sunday morning (Part 1, Part 2, Part 3), and the Sunday afternoon Town Hall. We have come so far since our founding in 2007 - growing from 13 affiliates to over 60, winning Bill of Rights in 7 states and new federal regulations for care workers across the country, launching an individual membership program, and contributing to the movement for a more equitable democracy for immigrant and Black women workers. Our strength has been our commitment to organize, organize, organize. We have delivered important victories to domestic and care workers and made the invisible work that makes all other work possible visible. 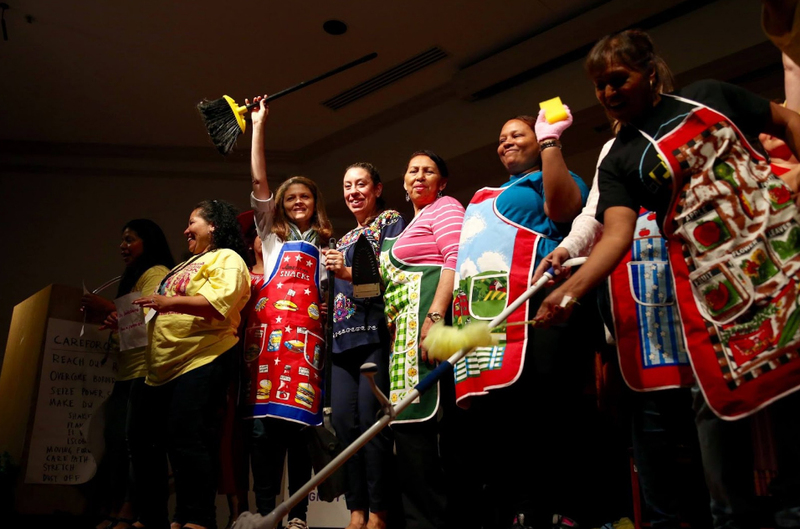 Domestic work will play an increasingly important role in the economy. As immigrant and women of color women workers, domestic and care workers are at the intersection of every economic and political crisis and issue. This is why it is critical that we continue to organize and build power to achieve our goal of organizing 250,000 domestic and care workers and bring them into our organization by 2020 to determine the future of this work as well as the broader democracy and economy of this country. Our industry is shifting and growing in significance in the new economy. We are in a moment when there is increasing tension between everyone’s need for all kinds of care work and the fact that our country has never accounted for this work. Demographic shift: The growing aging population, where every day 10,000 people are turning 65, means a higher demand for elder care workers. Emergence of technology: Technology is changing the way we find jobs, communicate with employers, get paid, and the employment relationship is mediated and monitored. A lot is changing, but some of the basics are still the same - the low pay and lack of respect. There is a lot that is yet to be defined. We have an opportunity to harness the power of technology to be in service of workers and our movement. Attack on workers and worker organizing: We are living in a challenging context to win worker right and the necessary enforcement infrastructure. We have been able to deliver victories despite this context but far from what the workforce deserves. What this means is that we need to organize and build power in a way that seizes the opportunities and addresses the challenges of our specific time. This means we need to strengthen what we do well to do it better and at the same time, innovate and develop new strategies to build further than we have been able to do. We need to reach many more workers and build to a much bigger scale. We have to be creative in figuring out new strategies to raise the quality of jobs. In addition to continuing to securing the floor through our Bill of Rights, we need to innovate and develop new strategies on how to raise standards to what is fair and just. 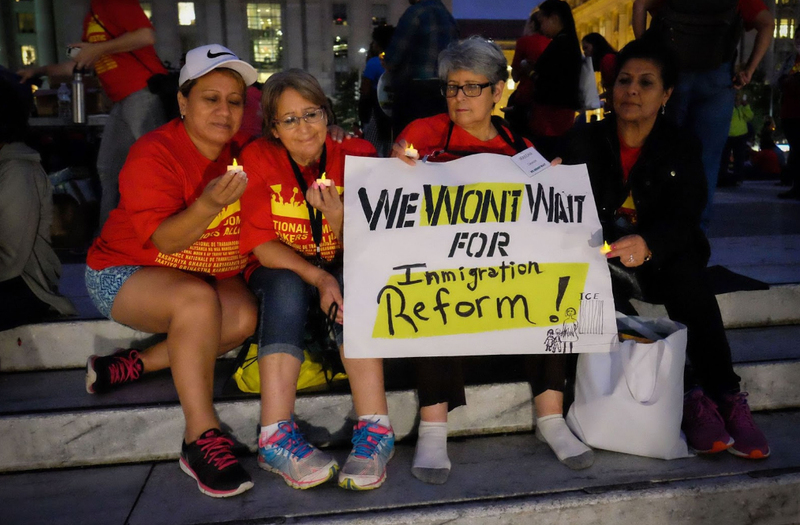 On the third and fourth days of our Assembly, we participated in the We Won’t Wait Summit. The summit was a collaboration between NDWA and eight national women’s organizations. 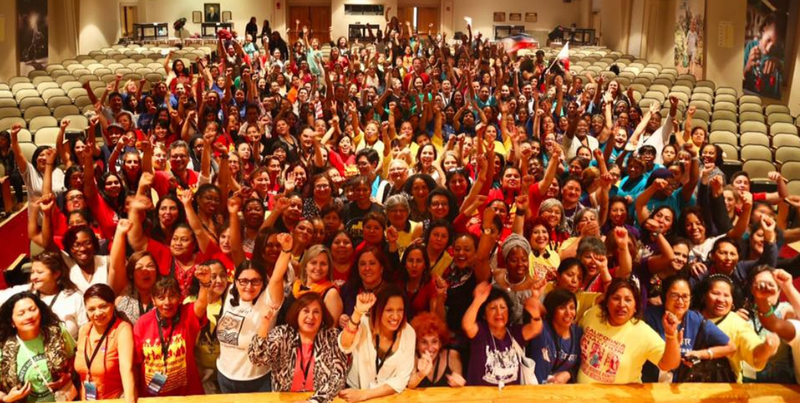 This historic summit gathered 1,000 women to elevate the stories and experiences of women of color and low-income women and put forward an intersectional agenda during this elections cycle. The Summit was significant for a number of reasons. Despite women of color and working women being an increasingly important electorate, they are largely invisible in the political arena. 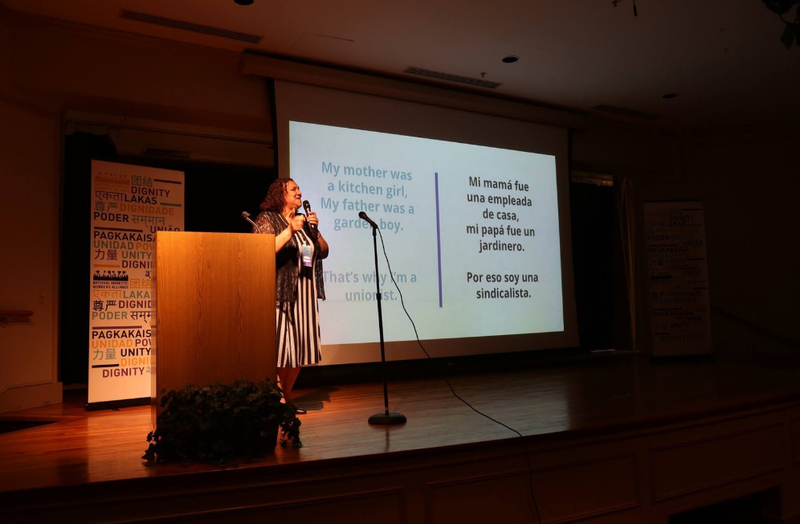 The We Won’t Wait Summit sought to push back against this marginalization and put forward a policy agenda that is rooted in the experiences of women of color and working women. Second, it centralized the place of women of color, low-income women, people across the spectrum of sexual orientations and gender identities in the movement for women’s rights after decades of battles over the role of race, class, sexuality and gender identity in feminism. The starting place for the Summit was an intersectional one - putting forth a new language for the moment - a feminism where everyone belongs. NDWA was the largest delegation at We Won’t Wait. Our affiliates and members were recognized as experts and leaders that can put forth policy solutions. From the Secretary of Labor, Tom Perez, to other elected officials, domestic and care workers were lifted up as important political actors of today.